Pokepower: Happy Healing Once during your turn (before your attack), choose 1 of your Benched Pokémon and flip a coin. If heads, count the number of Energy attached to Blissey and then remove that many damage counters from the chosen Benched Pokémon. 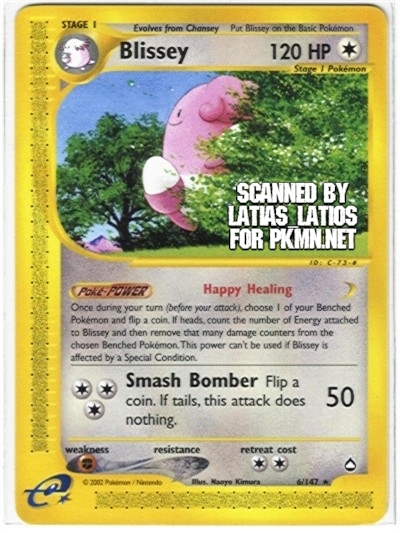 This power can't be used if Blissey is affected by a Special Condition. Seems like we know more about this... 'thing'!